”Till Death Do Us Part” is a famous vow in the standard Christian marriage ceremony, but not everyone is strong enough to keep this vow. What causes the Utopian love to fade away? 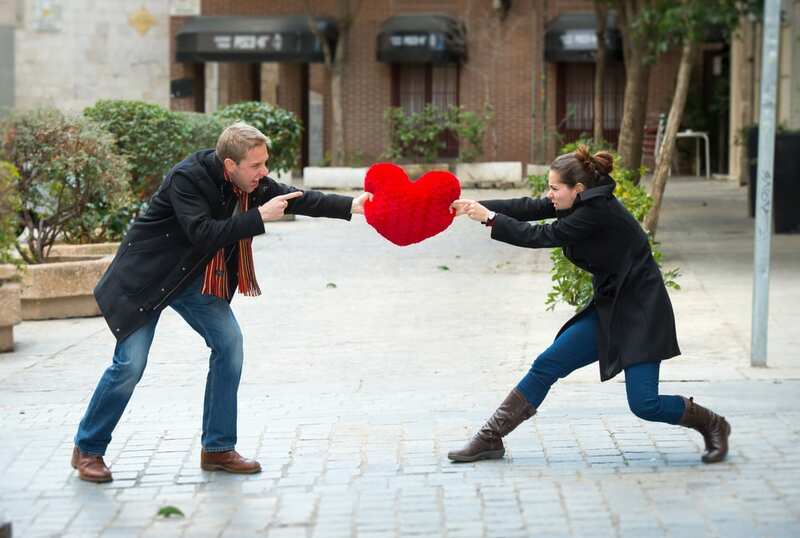 Why do couples face conflicts? Why do some marriages end? It’s not because of one or two arguments, but because of consistent unresolved issues among the couple. A transition takes place from ‘affection’ to ‘hatred’ and from ‘forever’ to ‘never’. It’s very disturbing to see a couple seeking a divorce. So here are some common issues which tend to create bitterness in a couple and hence, every couple should know about them in order to deal with them before it’s too late. Although it’s a law of economics but clearly explains an issue. If love never existed in a couple and they decided to marry because of the ” Sparks Fly “, then probably it will lead to conflicts. The satisfaction factor keeps on diminishing with time. The more you consume the services of your spouse, the lesser you get the satisfaction. Yeah, you got me right, you feel bored with the partner and you want somebody interesting in your life. So, this is how the conflicts originate, hence suggesting that you should marry a person you love. No doubt, a new born baby brings joy and happiness in the life of a couple but lots of ups and downs are also in this way. You might even start hating your partner a bit. Sleepless nights make people grumpy, but dealing with it is a right way instead of raging on your partner. 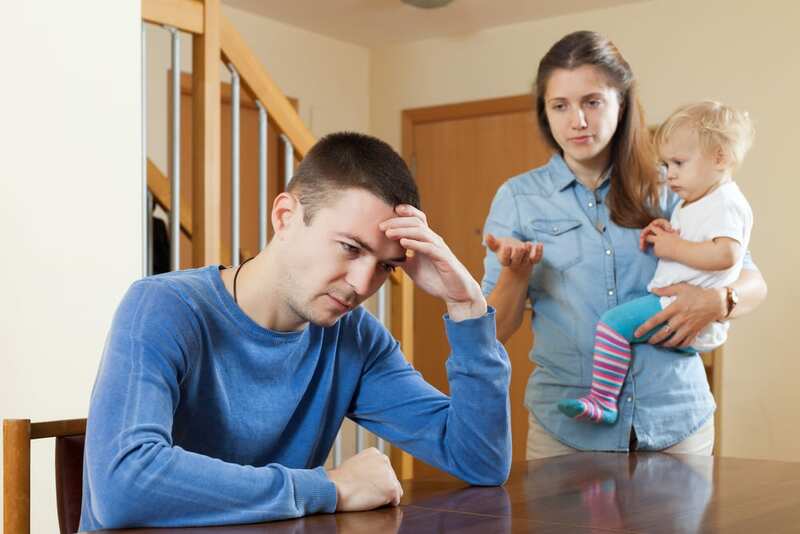 Getting less attention from wife, delayed tasks, improper schedule, dirty diapers, crying baby, all this can lead to various issues. Bickering is a common thing, but don’t let it become a fight of forever. Every couple undergoes changes but they have to help each other stick to their vows and keep their marriage breathing even at a low point in their life. It’s the most common and widespread reason of conflicts. Discriminating gender of spouse and thinking your gender is superior is an unresolvable issue. This issue arises out of misperceptions. Usually, males assume their gender is superior, hence displaying male chauvinism. In many cases males don’t even allow women to pursue their career dreams, thinking it’s the duty of females to stay at home performing all the households chores and look after children. But God never believed in inequality and crafted creatures having equal status. Therefore, we human beings should also treat everyone equality. 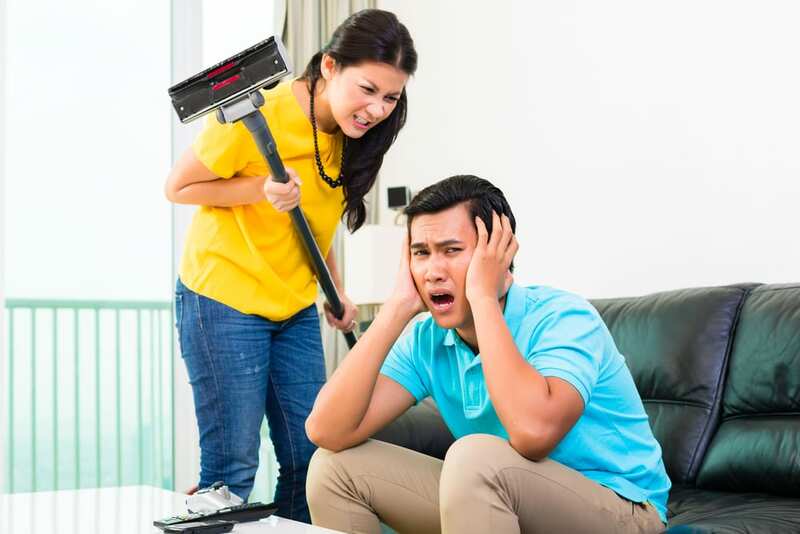 In the traditional couples, where the husband goes to workplace and wife stays at home she is expected to do almost all of the household chores. She might get overburdened. The situation is worse when both of them work for long hours outside the home. It makes hard for them to coordinate because of hectic schedules. In order to avoid this situation talk it out, synchronize schedules, cut down the unnecessary work, divide the work, take responsibilities and you will be able to cope up with the problem. Lack of communication, especially effective communication, leads to innumerable issues. It creates various misunderstanding. Again, it is by communication, that a couple can sort out their misconception. Everybody needs a person to talk their heart out, to discuss problems, to listen to their stories, to give the love of companionship. But due to the hectic schedule and urban lifestyle(where both of them work outside home for long hours), they tend to miss the joy of fellowship with a spouse. Every couple needs to balance the time spent with each other and the time spent alone. Even on this issue, there should be a mutual agreement. According to various studies, couples who sit and talk effectively at least once in a week are quite happy with their marriage. So learn to speak the language of Love. 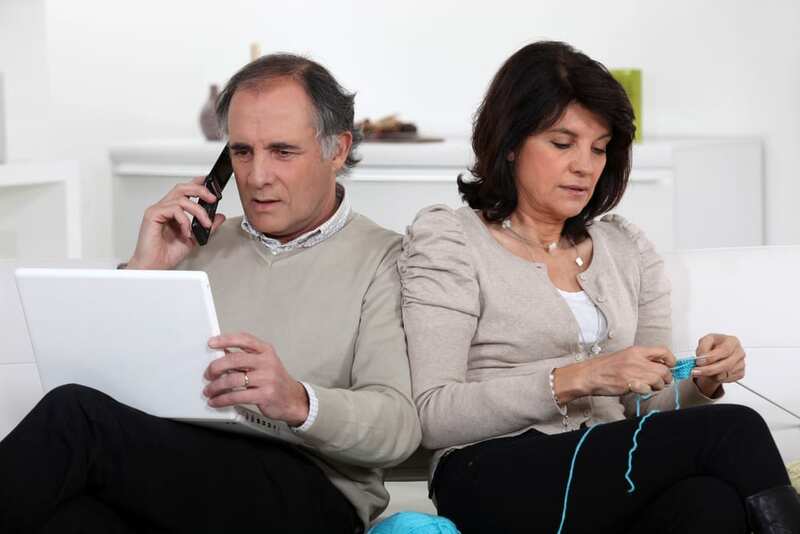 Couples with a wide age gap might feel emotionally more or less the same in the initial years.But as time fades away,t he relationship becomes complex.It becomes dependent on their efficiency in skills for talking cooperatively about their differences. Due to the difference in age, they will have different interests and will indulge in different activities. One of them could be longing for a child whereas the other one could be thinking of investing in a business or making a career. They should be able to resolve differences. With the age, they will have to negotiate differing life-stage desires. A common dilemma faced by the man, whom should he favor his mother or his wife? For a woman, its difficult to adjust in a new family and she might encounter differences with her mother-in-law. But if she drags her husband into all this, the situation take a turn for worse. If in this classic relationship triangle, the man starts favoring his mother and disrespecting wife, the relationship is badly affected. So, you(as a man) need to believe firmly that you don’t need to jeopardize your wife in order to honor your mother. Education affects our perception. It changes the way we think about different aspects of life. Due to the education gap, couples tend to have contrasting views and opinions. If anyhow, a post graduate gets married to a person who is secondary level pass student they would rarely agree at a particular point. It is usually followed by compromises and adjustments in views by the one who is less educated. It causes a lots of understanding problems. The one who is more educated, is dominant and has the major say in the decision making process. There is a very thin line between ego and self respect. Ego, a Latin word, means a person’s sense of self esteem, but thinking that only your self esteem is what matters the most, is the root of the ego conflicts. These issues are usually unidentifiable and put the marriage at stake. Ego issues are a result of lack of control over the spouse, which further leads to insecurity of losing the spouse to someone else. Moreover, being proud and thinking that you are the better one among you two, can lead to ego issues. Praising yourself, flashing your achievements in front of others and never saying a word about your partner’s contribution can hurt his/her self esteem. Money can’t buy happiness. The more of it you have, the more of it you want. It is a bitter fact of life. In the priority order, placing money or things before relationship will lead to the doom of the bond sooner or later. A rich couple might not be happy but a happy couple will definitely be rich(because of supporting and life lasting bond). Lack of money is not the culprit, its improper control and usage is the main problem. Moreover, couples often have contrasting money styles, if one of them is a spender other one can be saver. These differences should be understood properly, rules should be laid and the monthly money usage should be in accordance with both of them. 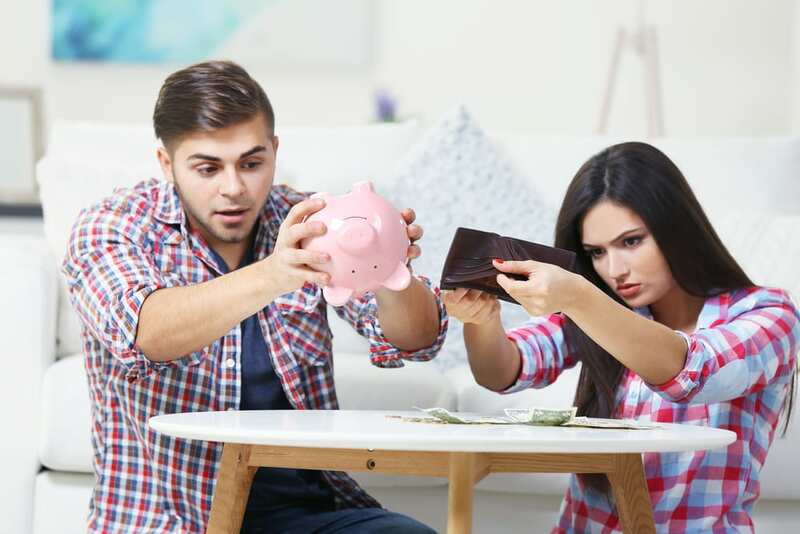 Spending money foolishly is the no.1 cause of a divorce because when a spouse feels the other spends their money foolishly, it increases the likelihood of divorce by 45%. In a nutshell , conflicts are unavoidable but we should always try to transform any conflict into an opportunity of understanding the partner more thoroughly and moving a step closer. I name such conflicts as good conflicts . They strengthen the bond . Live a bit more , learn to compromise , try to forgive and express your love to the fullest. Follow these points and keep your marriage intact with care and may every conflict of yours be a good conflict . As they say marriage is live best when you are not trying to balance the scales .